How do the newest pickups compare? 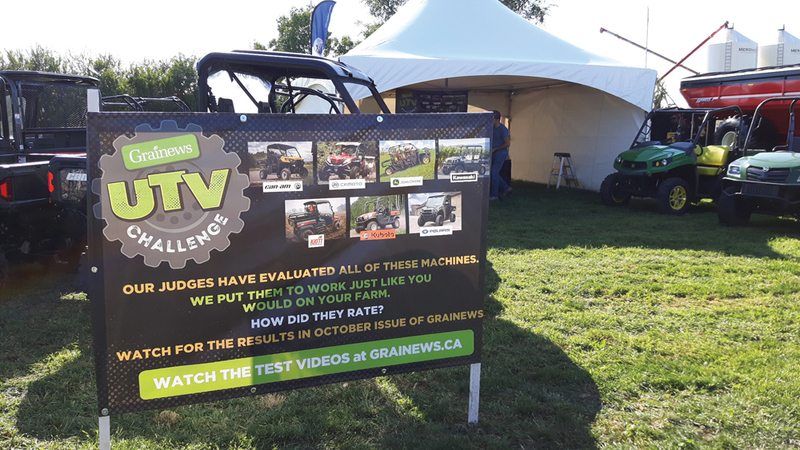 We’ve accepted many assignments over the years in order to bring you, our readers, useful information about farm equipment, but I don’t think we’ve ever had more fun doing that than when we set to work evaluating side-by-side UTVs at the Grainews UTV Challenge last July. 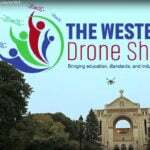 Our objective was to put them to work doing the kinds of things farmers would use them for, so we created a series of challenges and a test course on the grounds of the Ag in Motion farm show near Saskatoon a few days ahead of the public show days. We also displayed them at our booth during the show, with judges on hand to discuss their findings with the public. Our editor judges, (L to R) Grainews machinery editor Scott Garvey, Grainews editor Leeann Minogue and Yvon Therien editor of Le Bulletin des Agriculteurs. Basically, what the judges found was all the machines performed well. And while they all had many similarities, they also had many differences. In our judges’ opinions, every machine excelled at some of our challenges, but often disadvantages showed up in other tests. That, our judges said, proved anyone thinking of buying a UTV needs to know exactly what jobs it will be put to before making a purchasing decision. Here’s how our judges evaluated of each of the nine machines we tested. Even if you’re interested in a model that isn’t in this group, a look at the judges’ observations should give you some great ideas about what questions to ask if a new UTV purchase is in your future. The flat floor and bench seat with fold-down armrest was convenient for easy access and three-person seating. Published base price for the Defender XT is $15,699. The Defender XT is a relatively new model from Can-Am, and it proved itself well suited to the tests it was put to during our Challenge. It has a well-rounded design that makes it a capable workhorse for a wide range of typical farm jobs. And it also offers speed and power. The judges liked its ability to get down the road at up to 80 km/hr.a but still have enough low-speed torque to handle a trailer during the towing evaluation. At the same time, as one judge commented, it was still fun to drive. Its low, flat cab floor and easy access will appeal to anyone who has to get in and out frequently during a work day, making it ideal for jobs like building fences. It had the second widest track width of any machine in the Challenge, so it could seat three people on the bench seat. But when the cab is a little less crowded, fold down the centre console and you have an armrest with cup holders. The flat floor and bench seat with fold-down armrest was convenient for easy access and three-preson seating. There are two unique, removable storage compartments built into the Defender, but they are both plastic, and how durable they would be over the long term was a concern to the judges. In all, there are a lot of plastic components on this machine, but that was also true for many of the test machines. And you either love or hate the front hood design. It has a very large fuel capacity. At 61.3 litres it’s nearly double that of all the other models — more than double in some cases. There were two removable storage compartments in the cab. Control and gauge arrangements were well thought out. But the judges did notice an odd noise coming from the rear suspension during testing, which could become a bit irritating over time. The Kawasaki Mule offered the smoothest ride of any machine in the test group. Published base price for the Mule Pro FXT is $14,299. The Kawasaki proved to the judges it could work like a mule, but they thought the machine’s performance characteristics should have earned it a more genteel name. “Mule” just doesn’t seem right. Maybe something like Rolls Royce’s “Silver Shadow” moniker might have been a better fit. (Our test machine was silver). “This is a gentleman’s machine,” commented one judge, meaning it proved itself to be the UTV world’s equivalent of a luxury vehicle. The Mule had a convenient dashboard layout. All kidding aside, the Mule offered by far the most comfortable ride characteristics of any of the test vehicles. The trouble is that responsive suspension gave the Mule a bit of rear-end instability when towing a loaded trailer through the high-speed test section, although from a power perspective it was hard to even tell there was a loaded trailer behind it. The Mule could be converted from single seat to two-row seating in under a minute. The judges appreciated the steel floor in the cargo box, which should resist damage from rough treatment and heavy loads, but the tailgate was plastic. Maximum loaded weight capacity hits 1,649 pounds (748 kilograms), so it could probably carry anything that a farmer could fit into it. With the second row seating in place, the size of the cargo box is significantly reduced. The long wheelbase that helped smoothen out the ride took its toll in manoeuvrability. Our test machine was among the most difficult to navigate through the slalom portion of the test route, crushing most of the course pylons despite the driver’s best efforts. 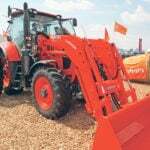 The RTV X1120D Kubota had the highest gross weight in the group and had the most steel components. Published base price for the X1120D is also the highest of any machine in the test group at $18,860. The X1120D from Kubota seemed to stand in a league of its own. A comment from a visitor to our booth at Ag in Motion seemed to sum things up: “It’s a tractor on four small wheels,” he said. With a published base weight of over 2,000 pounds (950 kilograms), it was the heaviest of all the test machines. That says a lot about the way this machine is built. There is a lot of steel in its design. The build quality was high on this machine, too. Seats were comfortable and the passenger seat cushion tilted up to allow easy access to an in-cab storage compartment. Gear shifting was a simple and reliable manual system, but it also meant switching between two- and four-wheel drive could only be done with the machine at a full stop. In the trailer towing tests, it was hard to tell there was even a load behind it. Acceleration was virtually the same loaded or unloaded. But for as much as the X1120D is a purebred workhorse, it doesn’t have much pony in it. There isn’t much fun factor here. With the pedal to the metal the diesel engine and hydrostatic transmission only wound the speedometer up to 27 m.p.h. (about 46 km/hr.). A safety shield protects the transmission behind a well-positioned hitch location. Take your foot off the accelerator pedal and you have to brace yourself. The transmission brakes the machine hard. The inability of the Kubota to coast down to a gentle stop was something that took a little getting used to for the judges. That feature did, however, give the X1120D one of the best downhill control ratings of any machine. It easily held itself in check on steep grades. In the soft field portion of the testing, the Kubota’s weight was against it. It bogged down more than any other and seemed to run out of power slogging through the mud. It worked best if a driver let the low-end torque try to power it through, but the lack of speed in those conditions meant getting stuck much more easily than any other machine. Gear shifting was a simple and reliable manual system. The cab roof and windshield also offered great operator protection and comfort, making the X1120D seem a little like a pickup rather than a UTV. John Deere’s XUV590i Gator is a relatively new “crossover” model. Published base price for the XUV590i is $13,523. The XUV590i is another new model for 2016. It fits into Deere’s crossover line of Gators, meant to be a bit sporty but still a capable worker. The trouble is, when put to the test the 590i didn’t really seem to be either one. If you want a UTV to use primarily as a people mover or transportation for those “go-fer” runs around the farmyard or short distances, then this would be the ideal machine for the job. But don’t count on it as a serious hauler or trailer-towing machine. The plastic cargo box is relatively small and the tie-down hooks looked very light, even though the Gator is rated for an 800 pound (363 kilogram) load. The Gator has a storage compartment under the tilt-forward hood. It’s also rated to tow 1,100 pounds (499 kilograms). But after two runs with our test trailer at a measured load less than 1,000 pounds, the engine in the 590i started to get hot — so hot that we took it out of the trailer-towing portion of the Challenge entirely. At 30 km/hr. with the trailer behind it was also becoming quite unstable during those two runs. One judge called the 590i a “nervous” machine, because at 50 km/hr. in the unloaded test, that instability started to creep in there too. It was also difficult to drive the 590i slowly. The jerky, go-or-don’t-go movements made it hard to back it up to a trailer hitch. Acceleration was relatively slow too. The two shift levers on the dashboard were in a convenient location, but they were held in their selected positions by a plastic dashboard segment. Judges wondered if that panel would be prone to wear over time and allow the shift selectors to pop out of gear when there was some vibration from driving. The wheel well bumps in the Gator box didn’t seem to be necessary and created an uneven floor in the bed. That said, this was one of the judge’s favourite machines for running to get something around the test site, because it was nimble and easy to use for those short trips. The power steering option on our test 590i made it even more manoeuvrable. The Kioti Mechron 2200 is powered by a diesel engine with lots of torque, but suffers from low top speed capability. Published base price for the Mechron 2200 is $13,649. As one of three diesel UTVs in the test, the Kioti had similar characteristics to the other two. Torque at lower revs was impressive, but judges thought its engine noise level was the highest. And like the other diesels, top speed was reduced compared to the gasoline-powered models. The Kioti suffered the most from that problem with an all-out speed of only 35 km/hr. The Mechron has a convenient, flat-floor cab design and was easy to get in and out of. Acceleration was compared by one judge to a locomotive — lots of noise but not much happens very quickly. However, having a loaded trailer behind it made virtually no difference as all that torque factored in, and the little Kioti topped out again at 35 km/hr. as if the trailer wasn’t there. Manoeuvrability really wasn’t what it should have been with the Mechron. The reason for that was the 3.5 steering wheel turns to get the wheels from full left to full right, meaning judges had to steer furiously through the slalom portion of the test course. All the other models needed only 2.5 to 2.75 steering wheel turns, making them much easier to control. The Kioti was clearly designed for work and was among the most utilitarian models in the group. That also meant it had lots of steel in its design, including a fully metal cargo box instead of the plastic that was common on most. But the poorly positioned tilt release latch on the box was stiff to pull, and there were a few bruised knuckles from hitting the box handle when the catch did let go and the latch moved. All-steel box construction impressed the judges. Where there was plastic on this machine, the judges thought the fit and finish let the machine down a bit, with a loose glove box door and poorly-fitted cup holders. But the low flat floor and move-through cab design made it very easy to get in and out of, an ideal design for a working machine. The Ranger has a convenient location for the gear lever, but shifting was sometimes a little sticky. Published base price for the Diesel Ranger is $17,199. Last in the group of diesel machines was the Polaris Diesel Ranger. With judges managing to get it up to about 60 km/hr. on the high-speed portion of the test course, it distinguished itself as the fastest diesel with the best rate of acceleration. Polaris supplied a Diesel Ranger and a 6×6 for testing. The Ranger had a narrower track width than the Kubota and other machines like the Kawasaki Mule and Can-Am Defender, making it a very nimble machine. But without the power steering option many other test machines came equipped with, steering felt a little tight. Up front it had one of the smallest dashboard gauge arrangements, making it a little less forthcoming with information than some other models. The transmission shift lever was in a convenient location but it often seemed a bit sticky when trying to make a gear change. Engaging the four-wheel drive and differential lock with the electronic switches, however, was a snap. The bench seat wasn’t adjustable and was positioned so far back our shortest judge had trouble reaching the pedals. The Diesel Ranger proved itself a capable towing machine. It handled the trailer easily with no reduction in top speed compared to the unloaded test drive. CFMoto’s Uforce 800 was the sportiest machine in the group with a top speed of 110km/hr plus. As-supplied prices for the Motos were, $12,595 for the 500 and $15,195 for the 800, making them among the lowest priced when comparable options are considered. 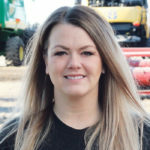 As a brand, CFMoto is a relative newcomer in Western Canada, although they’ve been competing in the market in the East for more than a decade. The company sent us two machines for evaluation, one with a 500cc engine and a larger 800cc model. Rated load and towing specifications for each of these two models differed, as you’d expect given the uprated engine in the 800. The 500 fit into the light duty category with a skimpy 300 pound load rating for the rear cargo box. That jumped to 1,000 pounds for the 800, which had comparable specifications to machines in the heavy duty group. The interior of both the 800 and 500 (seen here) are less workman-like and designed more like a sports car. Both models shared similar chassis configurations, and they both fit into the Crossover UTV category. That means they were designed for both work and play. However, a rule in engineering is that designing a machine for multiple uses usually means giving up something in each, and that was the case with the Motos — at least when it came to being a practical work machine. Judges may argue they didn’t give up much on the sporty end of things! The XUV590i Gator was also labelled a Crossover by Deere, but the Moto machines ventured much farther into the sport end of the design spectrum, making the Deere look pretty tame by comparison. The Moto machines had significantly different driver compartment designs than any other competitor in the group. Instead of a bench seat, the Motos both had form-fitting bucket seats, and their position could be adjusted to match driver height. They were comfortable to sit in, and you could be forgiven for feeling like you were about to hit the Indianapolis 500 track when sitting in them. The race car-like interiors and sporty appearance made the Motos stand out from the crowd. The CFMoto machines had a good gauge display. It’s fair to say the judges had a lot of fun with these two machines, especially the 800, which was the fastest machine in the group by a mile — or maybe I should say 110-plus kilometres, which is its top-end speed. Judges managed to hit roughly 90 on the high speed portion of the course and there was still plenty of throttle left. Getting to that speed didn’t take very long, either, with the 800’s rocket-like acceleration. The company believes these machines can be capable workers during the week and then play hard on the weekend. If you want that kind of machine, the added horsepower and performance of the 800 makes it the one to choose over the 500. In the soft field portion of the test course, we used the 800 to get some spectacular video footage of the judges blowing off some of the testing day stresses. 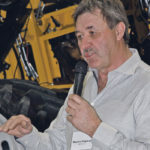 When it came to trailer towing, the 800 handled a 950 pound weighted trailer at 70 km/hr., remaining extremely stable and not showing any of the rear-end sway some other models experienced at much lower speeds. But the hitch receiver location on the 800 was so far under the machine’s body, it was impossible to connect a trailer without a hitch extension. Judges wondered what the long-term affects of that added leverage would do to the chassis frame with frequent use. The hitch receiver location on both CFMoto machines was too far under the body and required an extension for practical use. Both the 500 and 800 lacked the work-friendly benefits of a flat, move-through cab floor and the more truck-like seating positions most of the competitors offered. The spring-loaded half doors were considered a nuisance. Both machines did have a useful storage compartment under the driver’s seat and offered easy service points. They also offered a winch and a full automotive-grade LED lighting package as standard equipment. With six-wheel drive and rear differential lock, the Polaris Big Boss 6X6 had impressive traction. Published base price for the Big Boss 6X6 is $13,599. The configuration of the Polaris Big Boss 6X6 didn’t really match the side-by-side UTV definition we had in mind, but a marketing rep at Polaris suggested farmers would find this a useful machine, especially considering how many now rely on an ATV. So we agreed to test it. The Big Boss is kind of like an ATV on steroids. Or maybe a hybrid: an ATV up front and a UTV at the rear. Either way, six-wheel drive with rear differential locking give this machine massive amounts of traction. And its rated specifications put it within the mid-range group. So, it comes with some ability. However, because of a problem with getting any of our standard hitches to fit into the Big Boss’s receiver, we couldn’t test it in the trailer-towing portion of the Challenge. The receiver wouldn’t allow the hitch to go far enough in to pin into place. That seemed to be because the rear axle differential was so close behind the receiver. Operators riding the 6X6 get the feeling of being on a regular ATV, but turning radius is much larger. Judges tried to get the Big Boss stuck, and just couldn’t on the test course. They drove it into the centre of a slough with standing water, stopped, waited and then just eased the throttle to drive out again with barely any wheel spin. With so much rubber on the ground and a relatively light gross weight, the p.s.i. ground pressure rating under the tires had to be the lowest of any machine in the test group. But tacking on that extra axle extends the wheelbase from that of a regular ATV. And that means turning radius increases fairly substantially. So even with electronic power steering, it sacrificed some manoeuvrability. It does, however, keep the same track width as an ATV, so squeezing through narrow corral gates would be a breeze for this machine. There is a relatively large forward storage compartment under the hood. The selectable downhill engine braking feature gave the Big Boss impressive performance on the downhill portion of the test course. But there was one feature that left the judges cold — or maybe hot is the right word. With the muffler just inside the body side panel and a cooling fan blowing, the heat coming off the right side of the engine made the rider’s right leg uncomfortably hot, making that an odd thing for engineers to overlook when designing this vehicle.